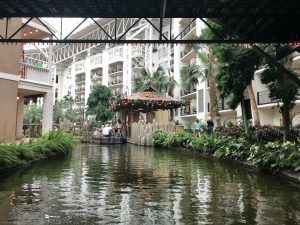 The Gaylord Opryland in Nashville, like the Gaylord National Harbor and new Gaylord Denver, is a large but self-contained convention environment. The massive complex includes multiple open atriums surrounded by numerous hotel towers, each the size of an ordinary hotel. The hotel and convention space, while large enough to house thousands of people, is not so large that attendees feel lost. Nor are they distracted by outside attractions, though the Grand Ole Opry is right next door. Indeed, I spent days at the Gaylord without stepping outside! 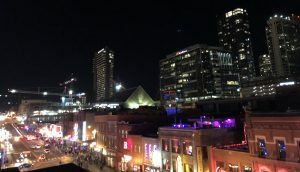 Nashville itself was an interesting location for this conference. It is not on the “A List” of destinations in the USA, but perhaps it should be. The airport is large enough, with many direct flights, and the hot downtown area rivals Austin for live music. Nashville is located centrally in the United States, a short trip for the entire eastern half of the country. It also has a positive reputation, at least for those I discussed the trip with. Then there’s Commvault itself. The company has been in business for decades, building up an impressive customer base from the Fortune 500 and beyond. And Commvault is active in the reseller space as well, with many blue-chip organizations behind it. This gives them the audience needed to host such an event, something most companies cannot boast. Commvault also has strong enough financials and a need to proactively communicate with this audience about the new direction the company is headed. 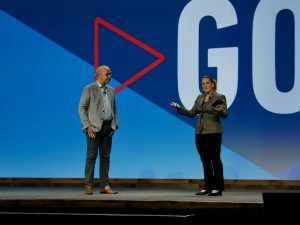 Commvault GO was focused on connection between the company and the various principals involved: Customers, partners, and analysts. This was evident as each group came together for morning keynotes and then split off daily to attend different aspects of the event. I personally spent time with some of every group, interactions that were driven as much by serendipity of location as by design of the agenda. From my perspective, the keynote presentations were the centerpiece of the event. 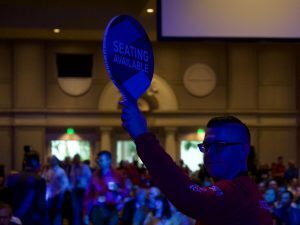 Once again, Commvault brought in interesting and inspiring speakers, including a remarkable spoken word artist, “Science Guy” Bill Nye, and dancer Evan “Lord Pegleg” Ruggiero. 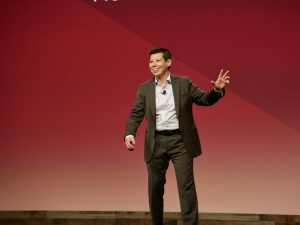 This gave the audience a reason to come to the keynotes, which nevertheless focused on Commvault, its products, and its market. If anything, these “sweeteners” overshadowed Commvault’s own speakers, including the executive team. But I wouldn’t have changed anything, since the keynotes were packed both days. One element of the technical presentation that did work for the audience was the so-called “GOx” section of the keynote. Each speaker had just 7 minutes (timed) to present on a specific topic. Most of these speakers rose to the occasion, sticking to a core premise and presenting in a compelling and entertaining fashion. It was also a great way to keep the audience engaged and allow a more diverse set of speakers than is typical. GOx was a big win! Perhaps the best aspect of Commvault GO was the time I got to spend with a diverse set of people. This ranged from end users (met serendipitously) to Commvault staff to the wonderful speakers at the Women in Tech reception. Everyone was open and interesting! In my role at Gestalt IT and Tech Field Day I don’t always get to speak to average end users anymore. Most of my time is spent with our network of independent influencers, and they’re a wonderful bunch. But most are fairly advanced in their roles, serving in an architect or even “C-level” position at their company. This is why I seek out more ordinary folks at events like this. It’s important to stay connected to how IT is really done these days, not just how senior management would like to believe it works. I’m sure the IT administrators I chatted with at Commvault GO thought they were the ones learning from the event, they were really teaching me! Another element deserving special attention was the Women in Tech reception. 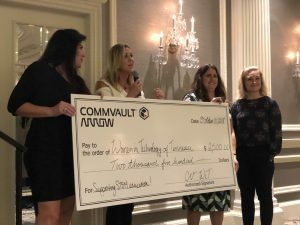 Commvault and Arrow worked together to organize a presentation that went beyond the subject, highlighting the ways women are contributing and techniques they (and everyone) can use to succeed. It’s too bad that these receptions are so sparsely attended by men – they would have a lot to learn from the speakers! I know they would have loved learning from a Buffalo Trace master distiller, with a whiskey tasting. Still, encouraging more diversity in our industry is a focus for me, and I was pleased to see it highlighted by Commvault as well. In summary, Commvault GO is time well spent. The combination of intimacy and diversity of viewpoints, from the speakers and fellow attendees, is a welcome experience. I look forward to visiting GO in Denver in 2019! Stephen Foskett is an active participant in the world of enterprise information technology, currently focusing on enterprise storage, server virtualization, networking, and cloud computing. He organizes the popular Tech Field Day event series for Gestalt IT and runs Foskett Services. A long-time voice in the storage industry, Stephen has authored numerous articles for industry publications, and is a popular presenter at industry events. He can be found online at TechFieldDay.com, blog.FoskettS.net, and on Twitter at @SFoskett.